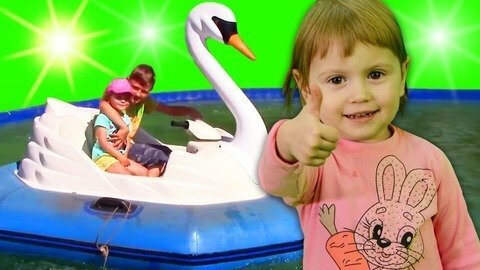 Igor and Arina are enjoying outdoors under the sunshine in the huge inflatable kids’ playground while catchy kids’ songs play in the background of their kids’ videos. See them climb all the way to the top of the high inflatable playground so they can go down the very long slide. Get to sing to kids’ songs like I’m A Little Bunny, Five Little Monkeys, Mary Had A Little Lamb and Baby Shark while you see them play. See other episodes and learn from their other videos by going to SeeZisKids.com.